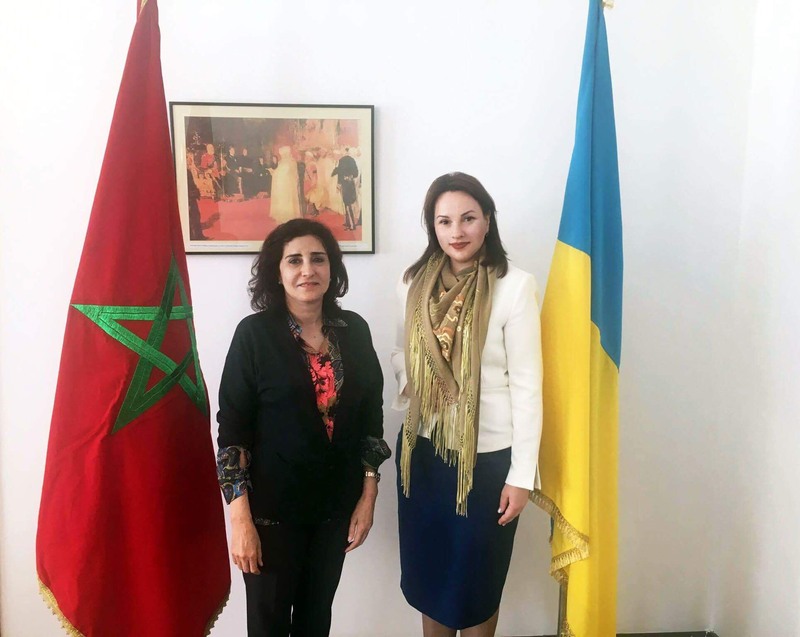 On Thursday 28 September 2017, the director of the Ukrainian State Center for International Education, Dr. Olena Shapovalova, met with Ms. Mina Tunsi, Ambassador Extraordinary and Plenipotentiary of the Kingdom of Morocco to Ukraine. During the meeting many topics were discussed including the education of Moroccan students in Ukraine and their quality of life. The participants talked about the work of student recruitment agencies, and expressed confidence that the Center and their website studyinukraine.gov.ua are existing alternatives to agencies. 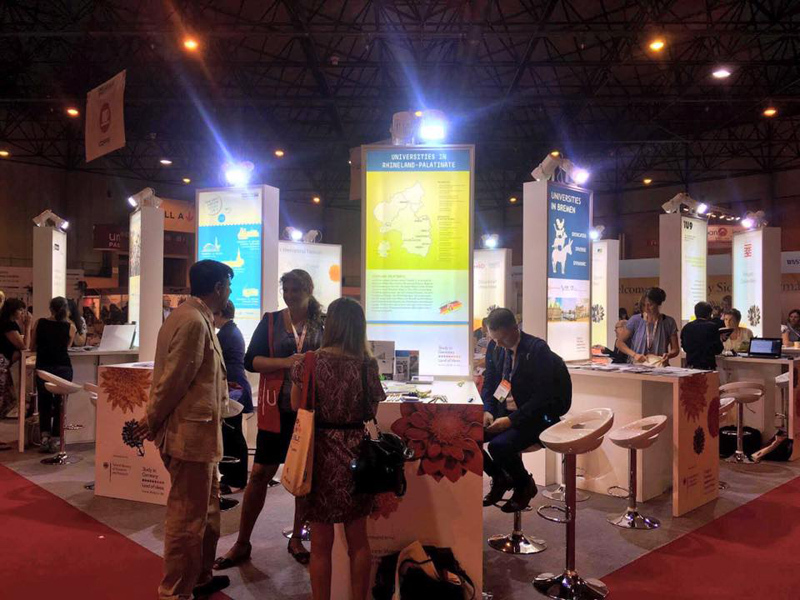 The Ambassador expressed support for the idea of ​​opening preparatory departments of Ukrainian universities in the capital of Morocco – Rabat. In addition, there was a bilateral agreement to organize an official mission of Ukrainian universities to visit Morocco in order to further develop Ukrainian-Moroccan relations in the area of education. 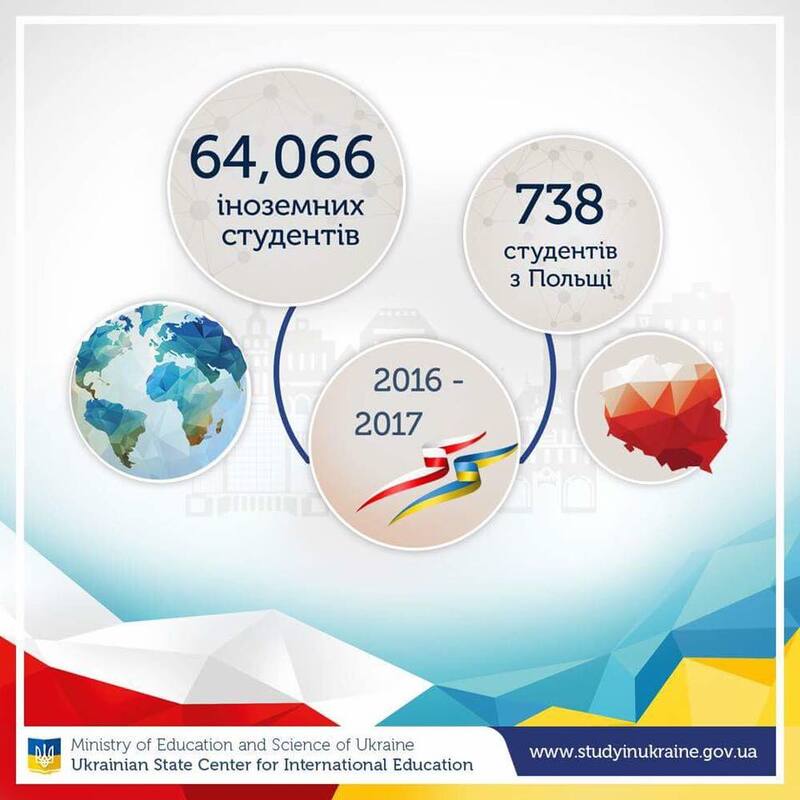 Currently, there are 4,608 students from Morocco studying in Ukraine. 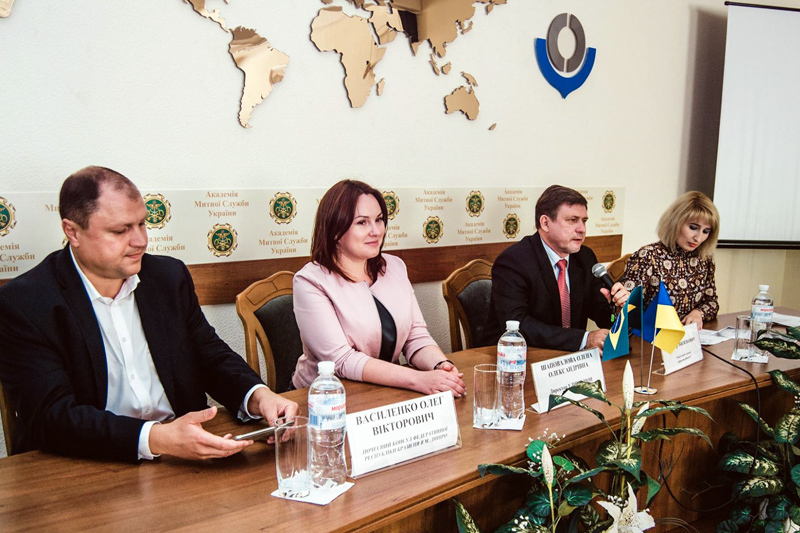 On Tuesday 26 September 2017, the director of the Ukrainian State Center for International Education, Dr. Olena Shapovalova, took part in the roundtable discussion called “Ukrainian-Brazilian Cooperation in the Field of Education, Science and Culture in the Context of Internationalization of Higher Education” held at the Ukrainian-Brazilian Center of the University of Customs and Finance in Dnipro. Dr. Shapovalova discussed future ambitions and the current state of Ukrainian-Brazilian cooperation in the area of education, as well as the goals and current activities of the Ukrainian State Center for International Education. 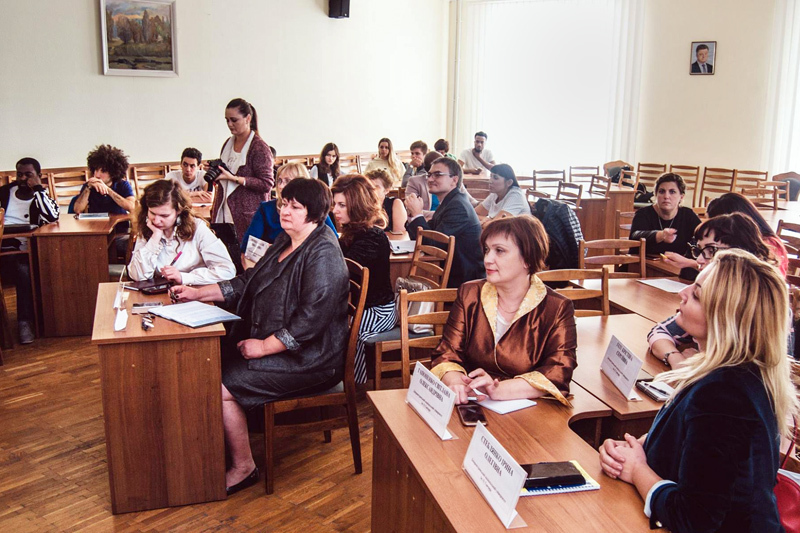 The discussion was organized and hosted by the Center, the Honorary Consulate of Brazil in Dnipro, and the University of Customs and Finance. 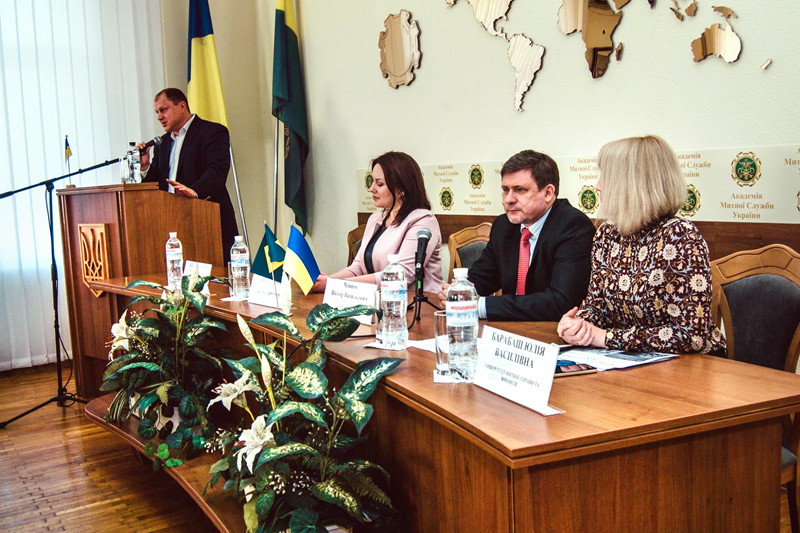 On 26 September 2017, the director of the Ukrainian State Center for International Education Dr. Olena Shapovalova took part in the round table discussion titled “Ukrainian-Brazilian cooperation in the areas of education, science and culture in the context of internationalization of higher education” which took place in Dnipro at the Ukrainian-Brazilian Center at the University of Customs and Finance. 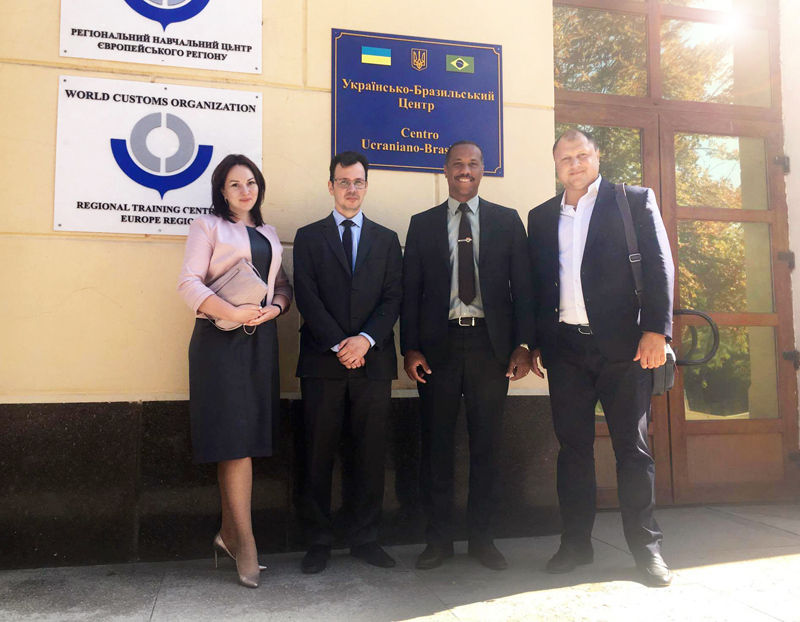 The director of the Center discussed the current situation and possible future Ukrainian-Brazilian cooperation in the area of education and also about the opportunities and the current activities of the Ukrainian State Center for International Education. 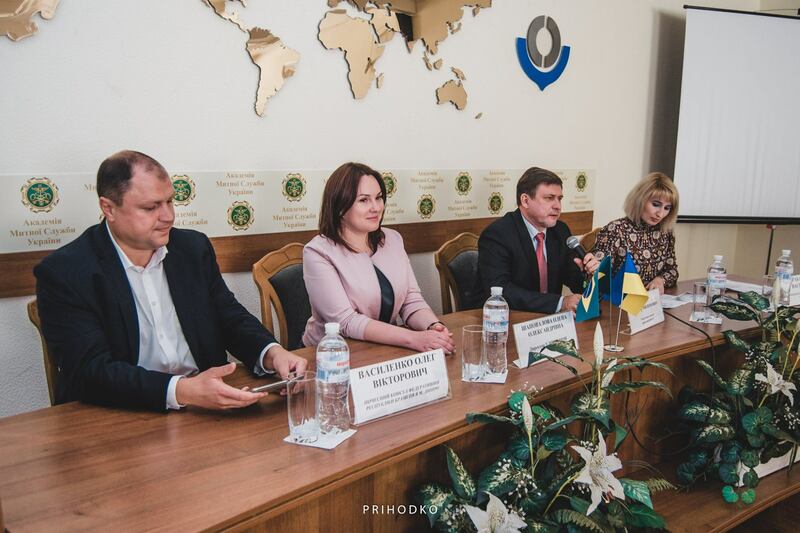 The round table discussion was organized and carried out by the Center, the Honorary Consulate of Brazil in Dnipro, and the University of Customs and Finance. 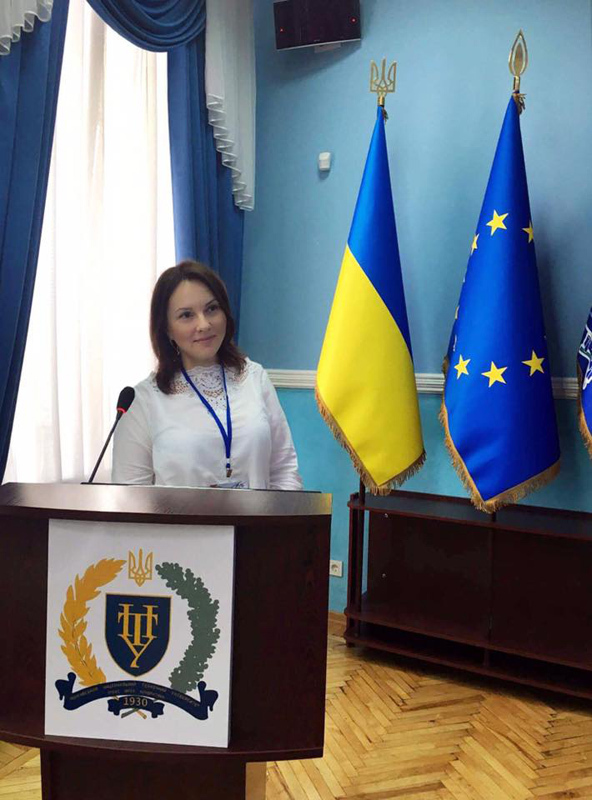 On Tuesday 19 September in Poltava, the director of the Ukrainian State Center for International Education of the Ministry of Education and Science of Ukraine, Dr. Olena Shapovalova, took part in the international training program ‘Increasing the Efficiency of Colleges by Improving the Quality of Education’. 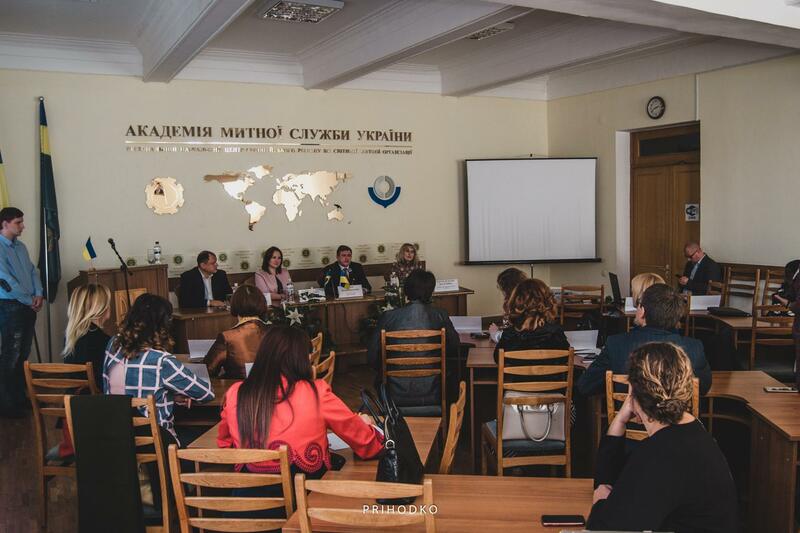 Dr. Shapovalova led a masterclass on the internationalisation of colleges. She also discussed promoting Ukrainian higher education abroad and recruiting international students. Currently, there are 332 international students from 37 countries studying in colleges, representing about 0.5% of all international students in Ukraine. “This work is very important”, said Dr. Shapovalova. 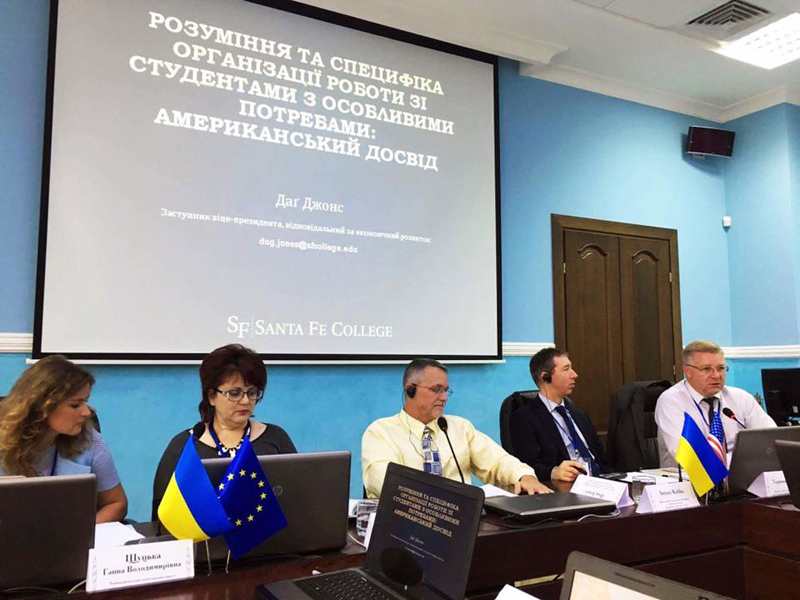 The training was organised by the U.S. Embassy in Ukraine, the U.S. Department of State, the Fullbright Scholar Program, and the Ministry of Education and Science of Ukraine. 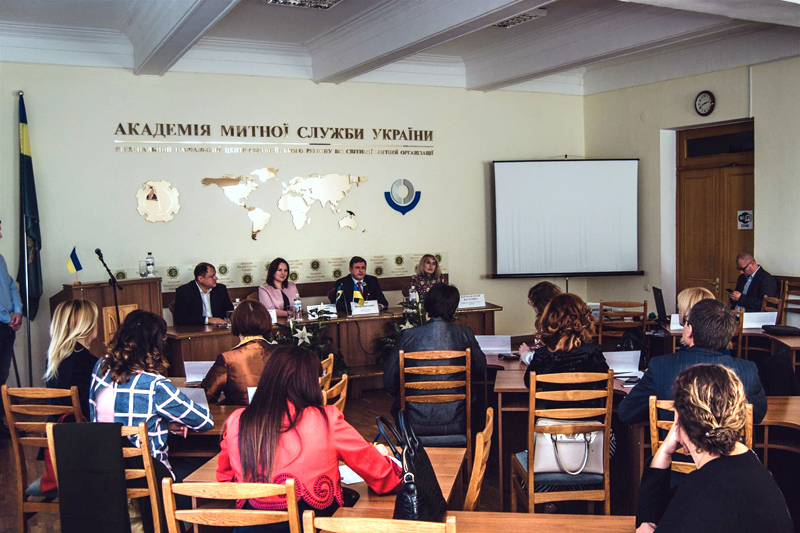 The training was conducted at the Oil and Gas College of the Poltava National Technical University and at the Scientific-Technical Center of the Poltava division of the Engineers Academy of Ukraine. 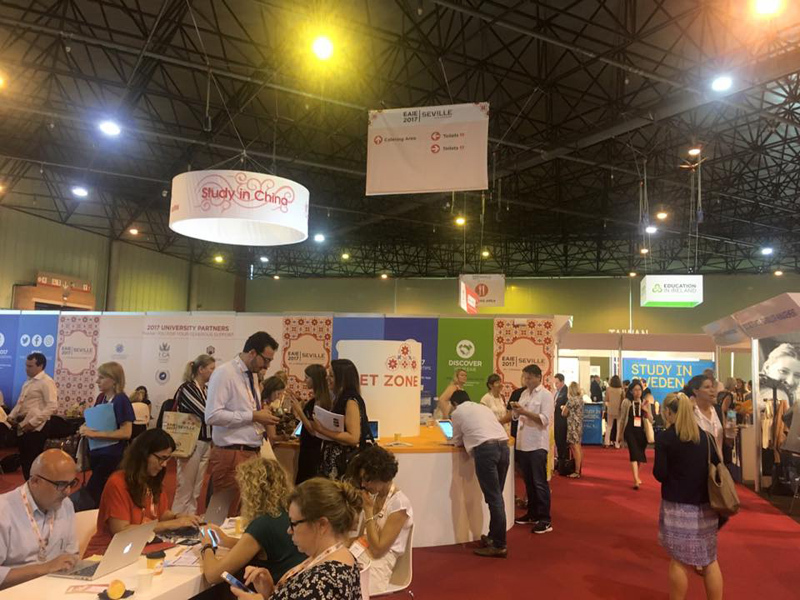 During 12-15 September 2017, the 29th annual conference of the European Association for International Education (EAIE) was hosted in Seville. 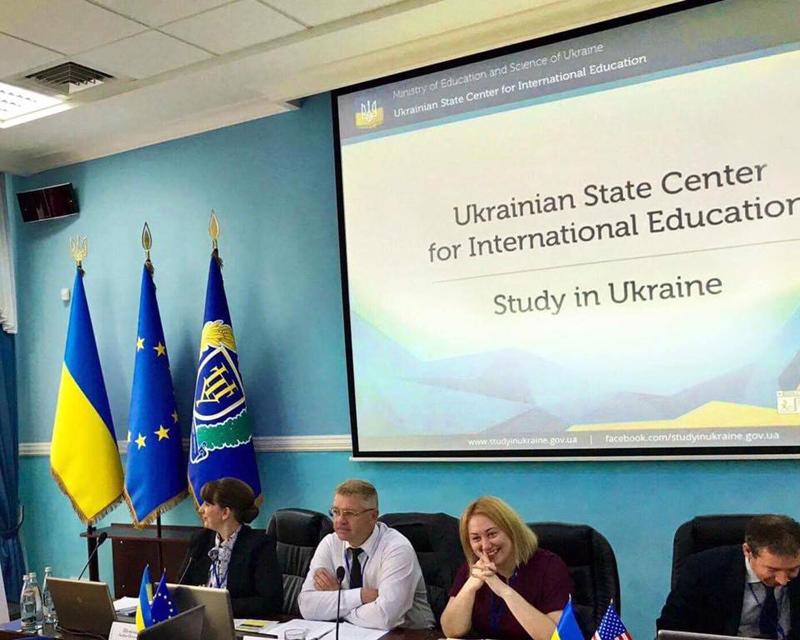 The director of Ukrainian State Center for International Education of the Ministry of Education and Science of Ukraine, Dr. Olena Shapovalova, was in attendance. 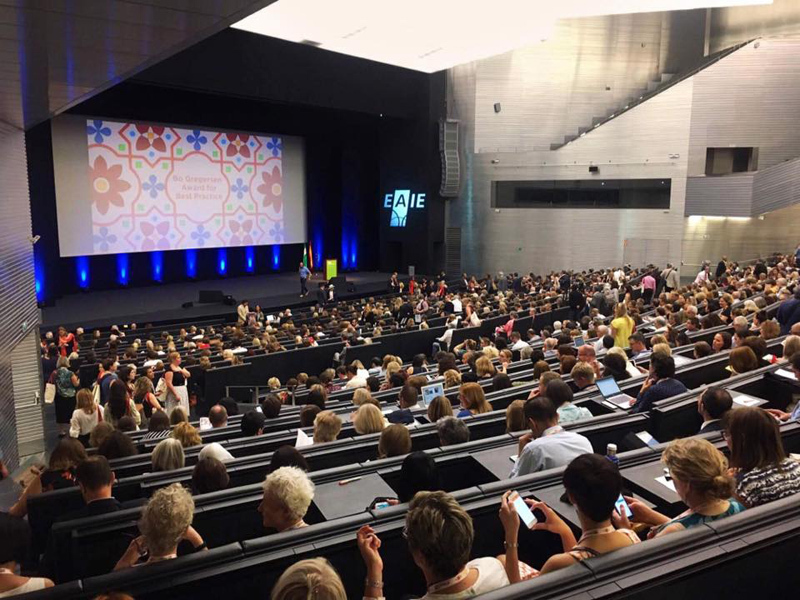 This year’s conference theme was ‘A mosaic of cultures’. 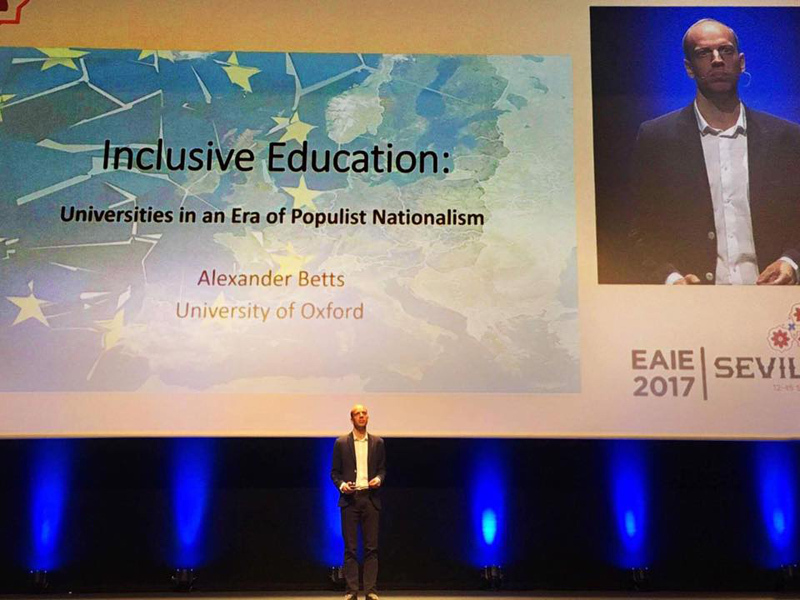 The annual EAIE conference is Europe’s largest international higher education conference and exhibition with 5000 participants from 90 countries. 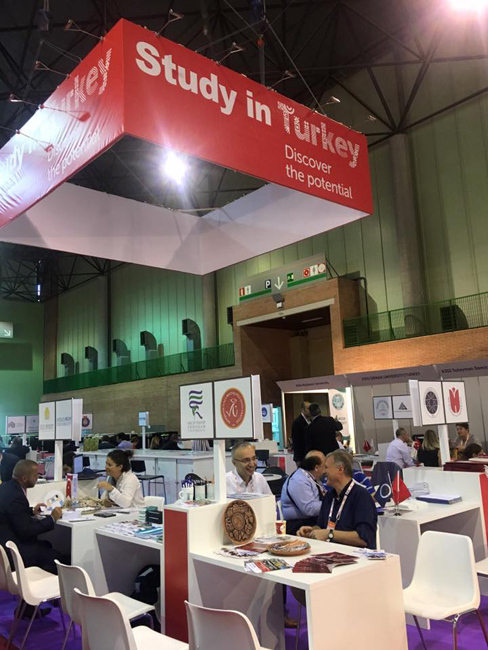 There were 640 different stands at the exhibition promoting international education. 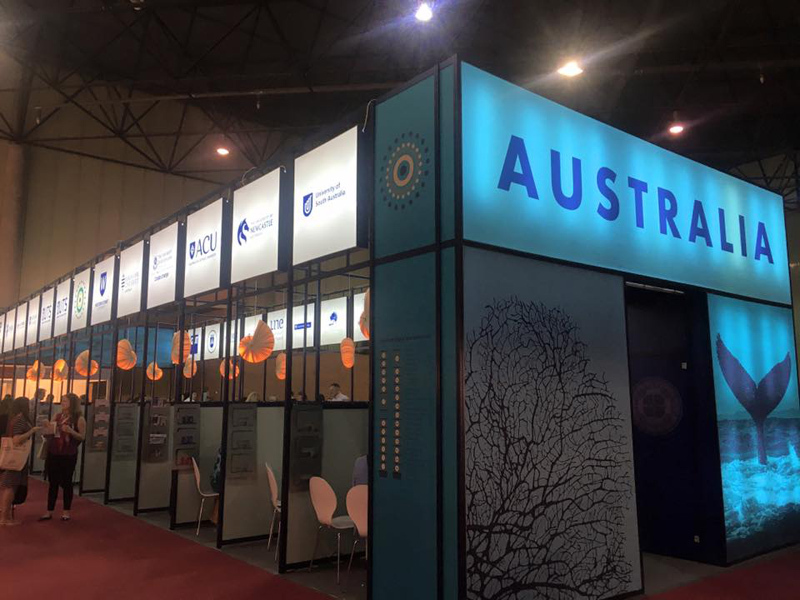 Amongst them were several countries promoting their ‘Study in’ offices. 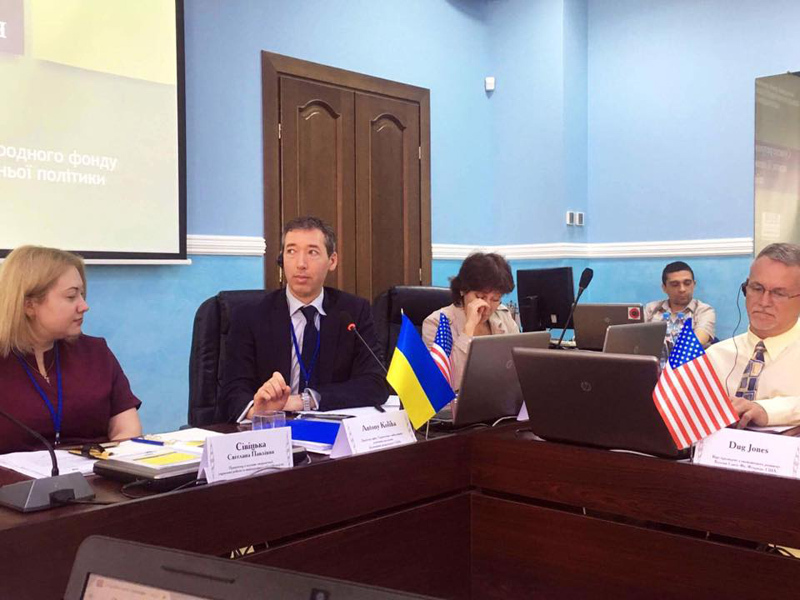 On Thursday 31 August 2017, the director of the Ukrainian State Center for International Education of the Ministry of Education and Science of Ukraine attended the “Prospects for the Development of Polish-Ukrainian Academic and Student Exchange” conference. 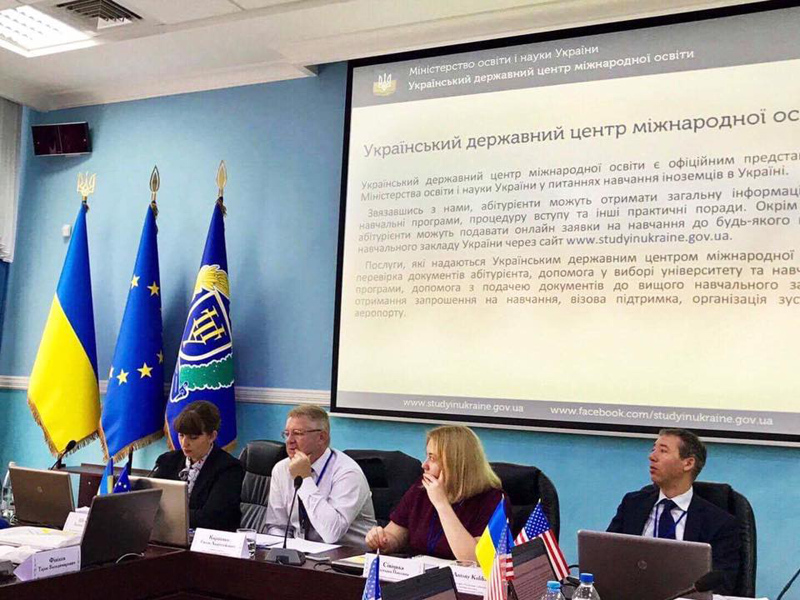 Dr. Shapovalova gave a presentation in which she outlined that there are currently 738 Polish citizens studying in Ukrainian Higher Education Institutions. 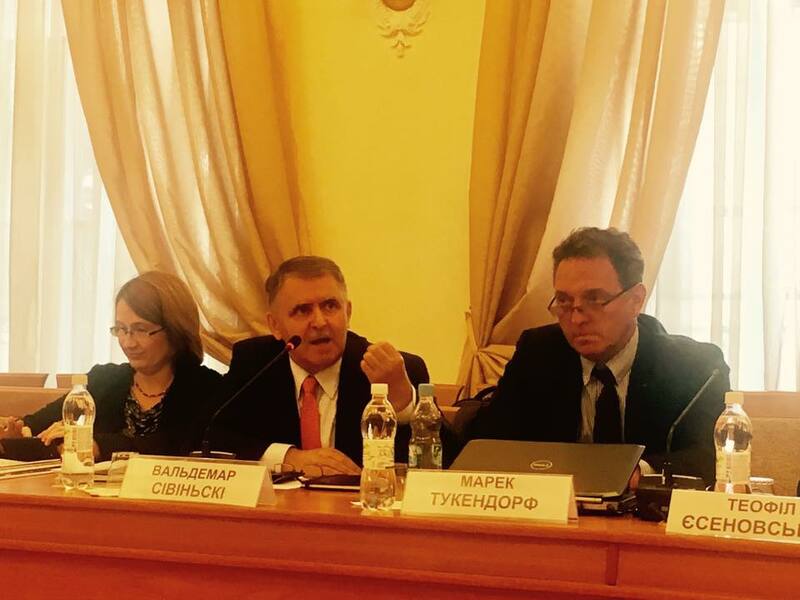 The president of the “Perspektywy” Education Foundation, Mr. Valdemar Sivinsky also gave a presentation. In the near future the German Academic Exchange Service (DAAD) and Campus France will be opening offices in Poland. 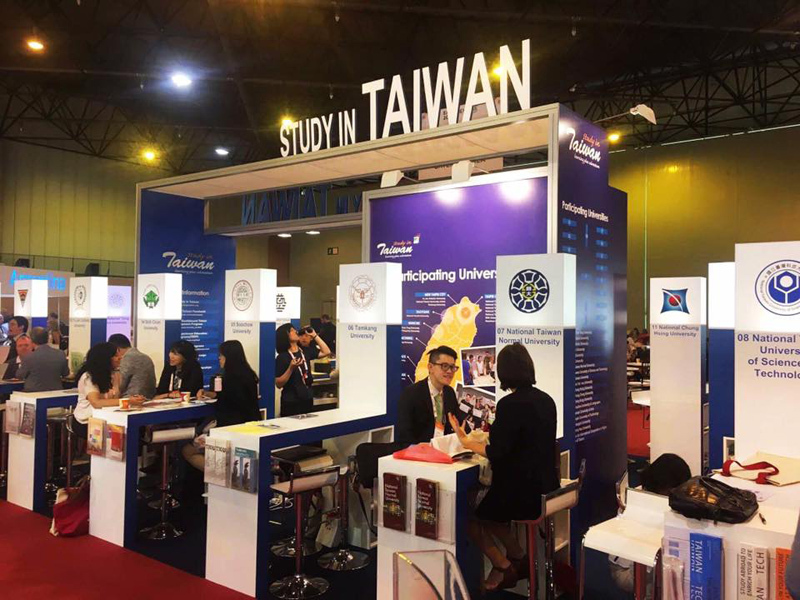 In spite of that fact, “Perspektywy” will continue take on prospective international students themselves as well as cooperating with business entities providing intermediary recruitment services for prospective international students. This experience is very useful to Ukraine and as a result Mr. Sivinsky was invited to be part of the Center’s Expert Council, to which he kindly agreed and promised to share his work. Our priority in the area of Ukrainian Higher Education is to make Ukraine a study destination of choice which will be achieved by ensuring we have a credible higher education system that can be trusted by Ukrainians, and both current and prospective international students. 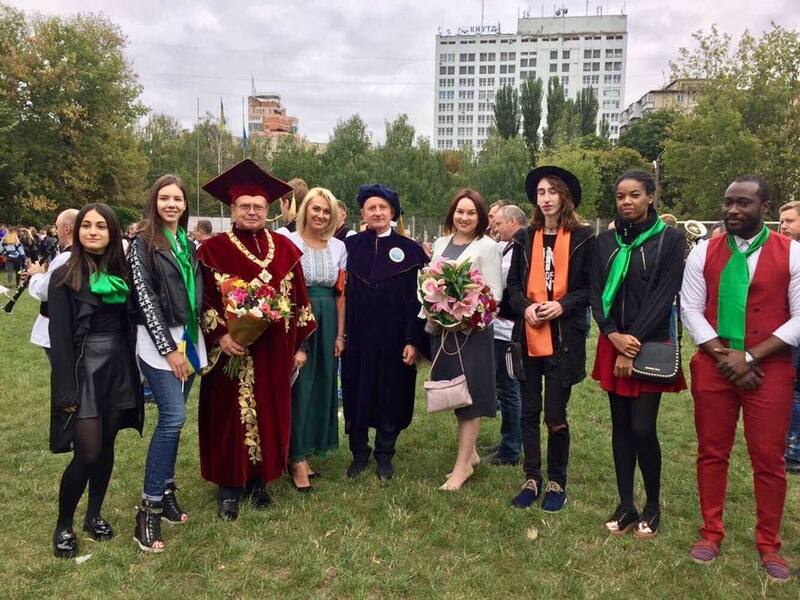 On Wednesday 30 August 2017, the director of the Ukrainian State Center for International Education of the Ministry of Education and Science of Ukraine, Dr. Olena Shapovalova, attended the student inauguration ceremony at the Kyiv National University of Technologies and Design (KNUTD). In the recently unveiled ratings of the world’s top 100 design schools in CEOWORLD magazine, which is the leading publication in the world of technology and design, KNUTD placed 75th out of 100. 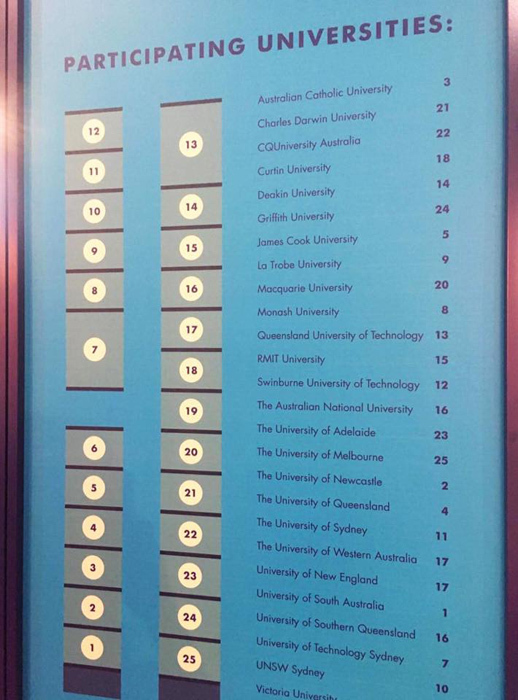 Additionally, KNUTD is the only Higher Education Institution represented from all over Eastern Europe! 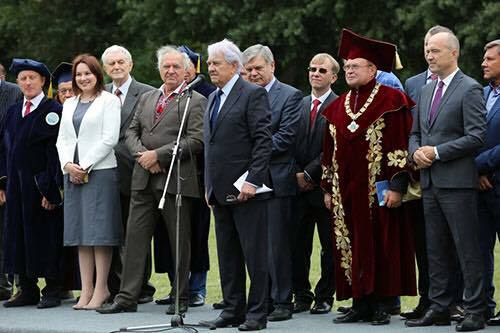 We are sure that Ukraine and KNUTD will become their second home, where they will receive a high quality education. 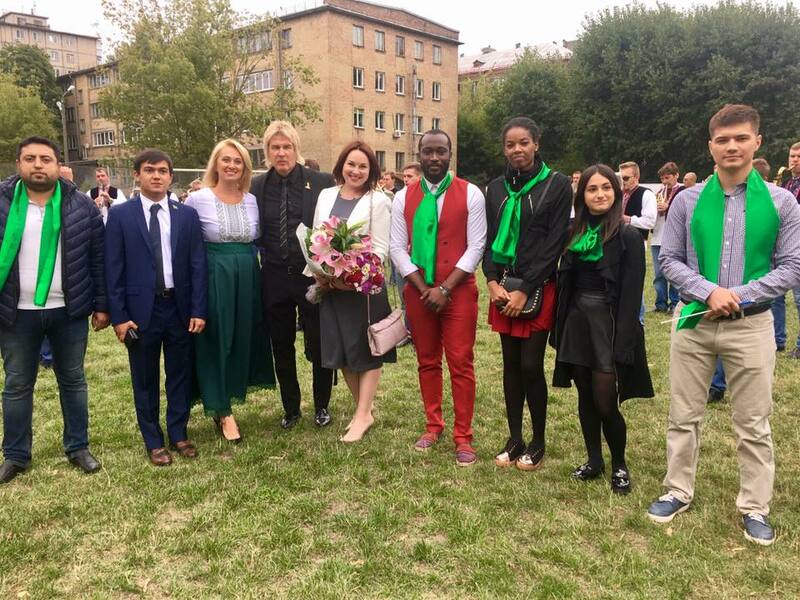 The Center thanks the KNUTD leadership for inviting Dr. Shapovalova to take part in this year’s celebrations and she wishes all of the students a wonderful start to the year and all the best in their studies!